Pack Expo Las Vegas was a great success! Pack Expo was a great show. 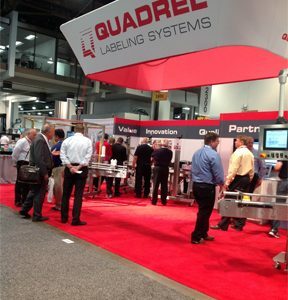 The Proline, Techline and Q34 Printer Applicators were very well received. Demonstrating our wireless touchscreen controls, servo product orientation and spotting, full system guarding packages, Allen Bradley connectivity and autoset product change over displayed our newest Technical Innovations. It was great to review all the new applications brought to us at the show.